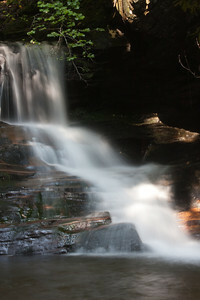 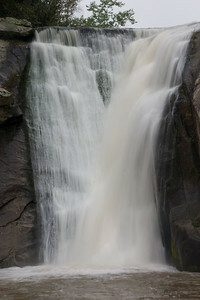 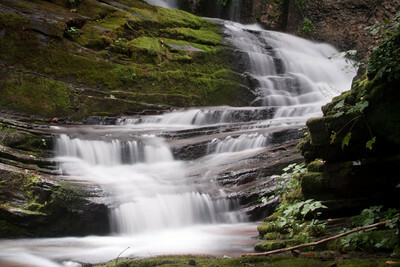 Mark's Gallery of waterfalls of North Carolina. 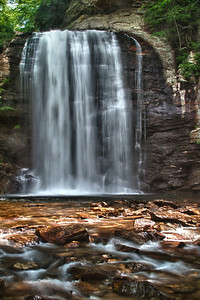 Looking Glass Falls, near Brevard, NC. 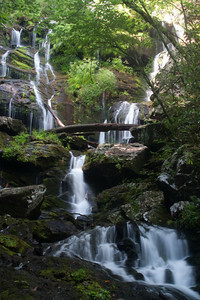 Brevard, in Transylvania county easily contains more significant waterfalls than any other county in NC and more than most counties in the nation. 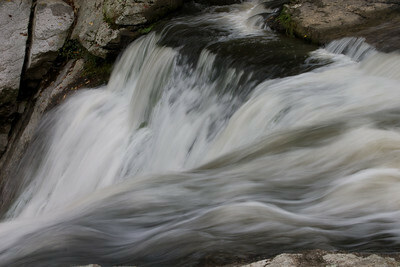 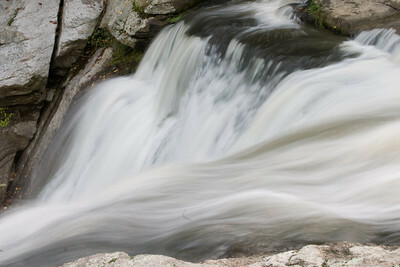 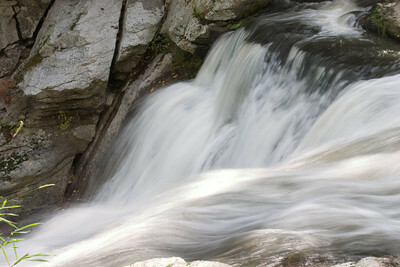 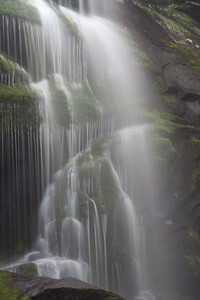 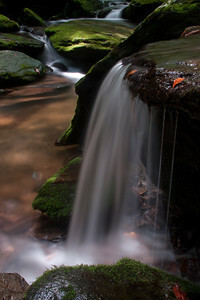 Transylvania County is said to have more than 500 major waterfalls. 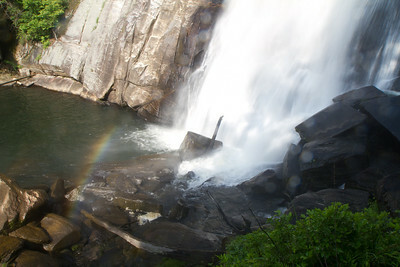 Looking Glass gets its name from fact that when sunlight shines on falls, it appears like a mirror. 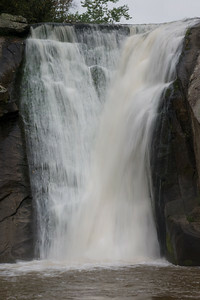 In addition, you can walk behind falls and peek out from the back side. 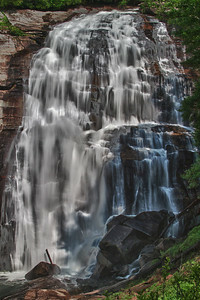 It was very difficult to get picture, without folks in photo. 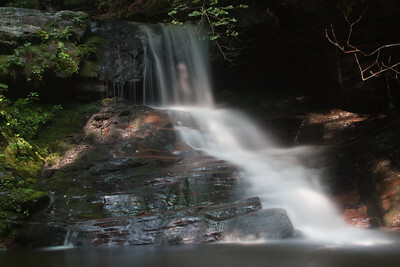 This photo required a tripod and self in the water.